The newest and latest hi-tech gizmos are always the coolest ever gifts anyone and his brother could get for Christmas. They could be your nerdy nephew who looks at the gigabytes and microprocessors or your teen girl who must have a new phone, or your spouse who loves tinkering with his tablet. Whatever, a tablet, smartphone or gaming console will never fail to delight the loved ones in your life and leave them amazed at your clairvoyant abilities for knowing exactly what they want. But before you go and max out that little plastic thing, do your homework and find out what the “in” gadgets are. There are hundreds of these devices on the shelves of stores and it can addle your brain trying to guess which one to get. You don’t want to make the mistake either of buying something that’s outdated or is a flop. Hence, without further ado, here are the best electronic gift ideas for Christmas. There’s a bit of bias here, but there’s no denying the fact that all the iThingies that Apple rolls out are the most popular mainstream gizmos every boy, girl and adult wants to have. Here are three of their must-haves for the most cherished people in your life. 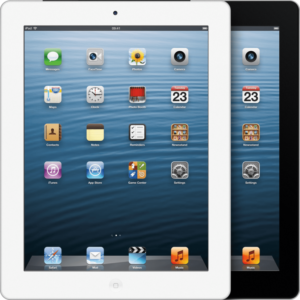 b. iPad mini – a slighter smaller version, this tablet measures 7.9 inches and weighs only 0.68 lbs. It has the A5 processor, so it’s not as powerful as the iPad 4. The iPad mini was designed to compete with the Kindle Fire HD and Nexus 7. It sells at $329.00, slightly higher than other e-readers but hey, it’s from Apple! c. iPhone 7 Plus – good reviews, bad reviews. They won’t matter when your kid or partner open their gift and see the iPhone 7 Plus. All you’ll hear are their screams. Awesome factor aside, this slimmer and lighter version has a faster processor (A7), a super fast wireless technology (4G LTE), a turn-by-turn navigation, an even better camera than the iPhone 4, Siri and a larger screen. Plus, it has 8 to 12 hours of battery life. Except for its Apple Maps and the need for an adapter for some accessories (it has a smaller connector), the iPhone 5 is a killer phone. Yes, some people would kill for it! Buy it from $199.99 for postpaid plans from Verizon or AT&T. Unlocked phones sell for $649 to $849, depending on amount of memory. Contrary to grandma’s beliefs, gamers don’t belong to a certain age group. Although admittedly, teenage boys and girls, and young adults comprise the largest sector of this captive market, dads and granddads are not immune to the lure of playing online games. As gifts, you can choose from gaming consoles or among the many types of games such as single-player and multi-player. You can also add accessories or gift cards for online gaming services like g2a. A lot of them will offer electronic gift cards that can be purchased through a website and emailed to yourself or the recipient. All these are suitable gifts for them. a. Playstation 4 Pro – the newest in the PS3 series, this tiny bundle is as powerful as its antecedents. It comes in two bundles and is not sold as an out-of-bundle console. The first model is a 250GB with Uncharted 3 and Dust 514 and the second is a 500GB with Assassin’s Creed III; SRP is $270 for the 1st and $300 for the 2nd. Both come with the DualShock 3 controller. The streaming services are still there – NetFlix, Vudu, Amazon and NFL Sunday Ticket. There are dSLRs and point-and-shoot cameras for all levels of photography enthusiasts. For the professionals who are picky about lightings and resolutions, and for the majority who use their pics for posting and sharing, these new model cams are sure to be a delight. b. Canon EOS Rebel T3i (with 18-55mm IS II lens) – for the novice professional who’s aiming to develop his skills, this relatively cheap cam dishes out high-quality videos and images. It takes practice to operate its controls and isn’t fast enough for burst shooting. But for $549.00 to $899.99, it’s a good deal for your cash. b. Sony Cyber-shot DSC-HX30V – its price (from $348.00 to $419.99) is rather expensive than most compact cams but its shooting options, video and photo quality and other features make up for its higher price. Also, it has faster autofocus and can take burst shootings at 11 frames per second. Not everyone is hooked on Apple. Android smartphones and tablets gate a fair share of the US market, too. Here are the trendy cell phones and tablets that run on Google’s android which make great gifts for giving. b. HTC Droid DNA – its Android 4.1 Jelly Bean, quad core processor, 4G LTE wireless technology and an 8-megapixel camera and LED flash complement its stylish design with a 5-inch screen. It has a long battery life but doesn’t have an SD card slot and removable battery. Still, it’s a steal at $149.99, from Verizon Wireless or $649.99 for the phone only. HTC Droid DNA will come out on Nov. 21.
a. Asus Transformer Pad Infinity TF 700 – one of the fastest of the Android tablets, this gadget has a clear and sharp screen, a well-functioning GPS and fast loading. It sells at $428.00 and is a great choice for an android tablet. It’s still best to read up all you can on the electronic gift you plan to buy for Christmas. But don’t let all the technical gibberish confuse you. Sift through the reviews and differentiate the significant from the trivial. Ask the opinion of people you trust and start your shopping early before the online and physical stores run out of stock.